Maybe you can relate, but the world has a way of dictating your life and your feelings. It sometimes seems like I have no choice in how I am supposed to act or to feel. We can let the world rule our choices and sit passively by or we take an active part in deciding. I realized recently that I DO have a choice! I decide every morning what my attitude will be for the day! I decide what I eat, what I do, where I go, what my day will include, who it will include. 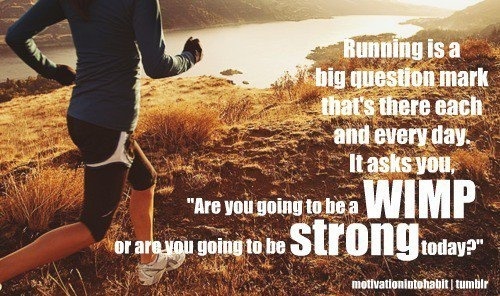 I could choose to be STRONG! Strong in assurance from the Lord. Strong in living healthy and fit. As I build up my physical muscles with lifting weights and crazy lunges/squats, I am reminded that I need to do the same for my emotional and spiritual body. I am still figuring out what that looks like, but it seems like the more I make decisions to be strong, the easier it get, so perhaps choosing good things builds up those emotional and spiritual muscles. With strength comes confidence, grace and joy. It means I stand up straight and walk with confidence because I am a daughter of the king, a woman graced with a joy from within no matter what I look like on the outside. 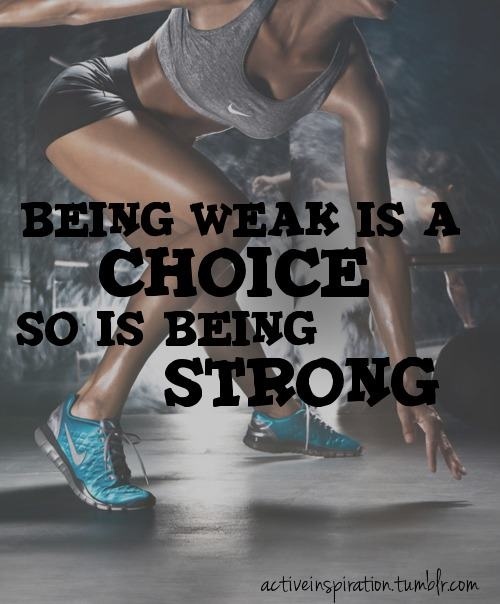 What does choosing to be strong mean to you?